Scorpios make some of the most intense lovers in the zodiac; they want to know you deep down to your core, so get ready for a passionate, wild ride. If you have a Scorpio partner, you’ve probably already witnessed their ability to love you deeply, both emotionally and physically, which makes them an incredible lover. Scorpios have an attraction to talented, intelligent people like themselves. They don’t do well with small talk, but this makes them great lovers because they enjoy getting to the core of who people really are. They like to dig deep and ask you tons of questions about your life, which opens up the door to true, intimate connection. If you happen to date a Scorpio, though, make sure you come prepared, because they will expect you to carry an intelligent, thought-provoking, mature conversation with them. Scorpios don’t let fear stop them from living their lives. Even if they feel the fear, they push through it and let it motivate them to grow and learn. They stand tall and strong, and many people look up to them for their bravery. They don’t depend on anyone – if they want something done, they do it themselves. They see the challenges and obstacles, but don’t let that stop them from achieving their goals. You will have a hard time figuring your Scorpio lover out, just a heads up. They like to keep their emotions under wraps until you’ve truly gained their trust, so it might take a few dates for them to come out of their shells. 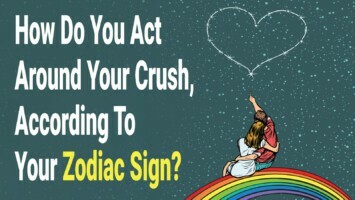 However, many people find the mystique of a Scorpio very alluring, and their aloofness just makes you even more curious to find out what they’ve been hiding. Scorpios will stand by you until the end; if they chose you, then they only have eyes for you. You have their heart, their devotion, and their unconditional love. 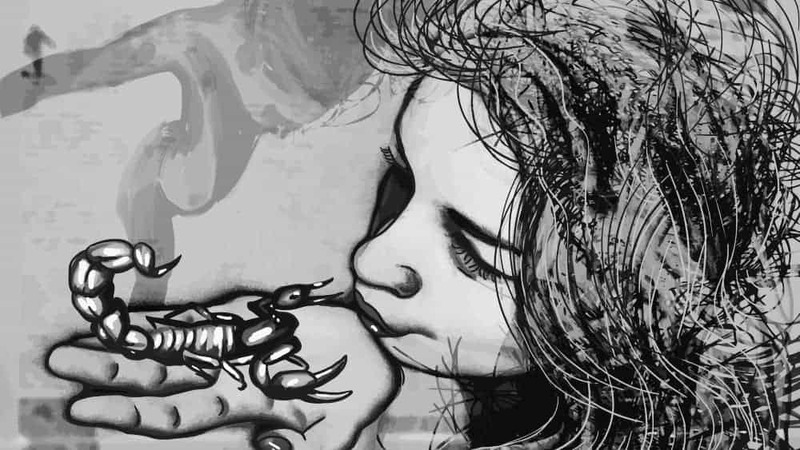 Scorpio picked you for a reason, and believe me, the scorpion makes one of the pickiest lovers in the zodiac. They picked you out of all the others out there because they saw near-perfection in you, so if you have a Scorpio lover, don’t take the relationship for granted, by any means. Scorpio doesn’t trust others easily, so if you’ve won their heart, then you must be doing something right. Scorpio tends to hold in their emotions until they finally break, so make sure to check in with them often. As a water sign, their emotions run deep, and they often hide a lot of themselves beneath the surface. While this might seem overwhelming, it actually makes them an incredible lover. If they feel emotions deeply and can tune into them so easily, then they can connect with you on this intimate level as well. Scorpio holds themselves to a very high standard, which means they won’t just take any lover. They hold a partner to even higher standards, which means if they chose you, then you’re pretty much perfect in their eyes. Scorpios have very high self-esteem and can even seem a bit egotistical, but this just means they know their worth, and want someone who knows theirs, too. Finally, a Scorpio won’t ask you for much of anything in the relationship, which means you won’t have to deal with a needy, codependent partner. They already have it figured out, and they don’t want your help unless they explicitly ask for it. They love to do things for themselves, as they don’t trust many other people to get the job done right. Scorpios have counted on themselves for a long time now, and don’t really know how to do anything differently. They have learned to become their own best friend, so don’t try to get in the way of their independence.